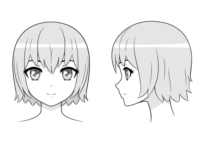 This tutorial explains how to draw anime and manga noses from the front, side and 3/4 views in different styles. 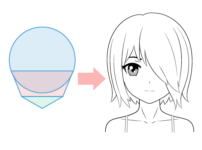 If you would like more information on how to position the nose on the head you can check the How to Draw an Anime Girl’s Head and Face tutorial. Some defining feature of anime and manga noses are that they tend to be small and pointy with details like the nostrils often not drawn at all. Of course there are also few variation to the style. Drawing the common anime/manga nose is fairly simple but it’s also a good idea to know how to draw a more realistic looking nose as well. So lets start the tutorial with that. For a more realistic looking nose draw it closer to traditional art. With more curvy lines and greater attention to detail. You can show the nostril/nostrils in all views. For the side view first draw the main outline of the nose. Draw the nostril slightly above the tip of the nose with and draw curved line just behind the nostril to indicate its shape. For the 3/4 view again start by drawing the main outline of the noses shape. Indicate the tip of the nose with a curved line just below the main outline of the nose. Depending on the angle you are drawing at you may draw one or both nostrils. Usually you can just give a slight hint of the nostril that is farther away. For the front view draw both sides of the bottom of the nose exactly identical and give a hint of the noses overall shape on the side that would be opposite to wherever the light source in the picture would be. One way to draw an anime nose that is still semi-realistic is by using light and shadow to create a hint of the noses shape. 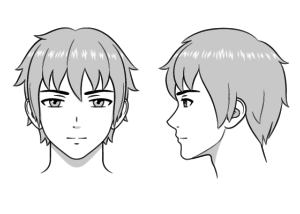 For the side view you can draw the nose almost the same as in the first example but make the tip slightly more pointy. 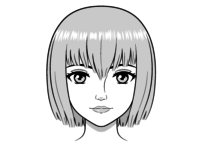 For the 3/4 view you can completely shade the bottom part of the nose unless the light is coming from underneath in which case you would shade the top part. In most common lighting conditions the nose will usually have a shadow underneath and to the side that is opposite of the light source. So if your are drawing the nose from the front view and your light source is coming form the top left you should draw the shadow on the bottom and right sides of the nose. If the light is coming from the bottom then you would shade the top part of the nose. 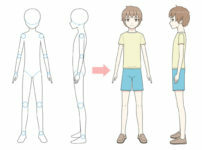 This style may be more appropriate if you want to create somewhat serious looking artwork but still retain the anime or manga look. 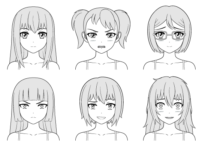 It’s also sometimes used when showing closeups of character’s faces. 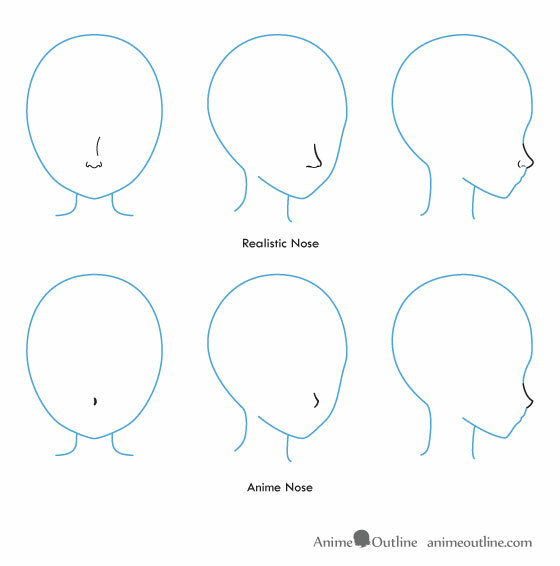 To draw the most common anime nose from the side view draw what looks like a vertical check mark and don’t draw the nostril at all. Do the same for the 3/4 view but draw the check mark a little more narrow to indicate a different angle. 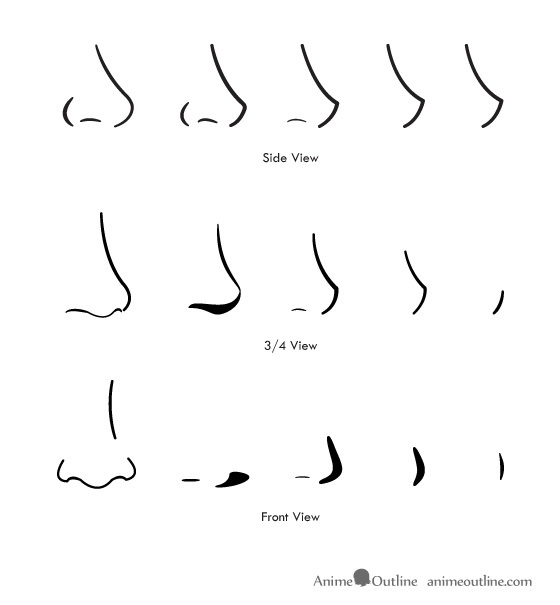 You can also draw a small curve or a dot to indicate the tip of the nose and not draw the top curve. For the front view draw a shadow on one side or a vertical dash in the middle that just gives a hint of the nose. 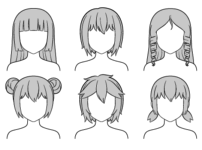 Depending on how simplistic you want the style to be you can even not draw the nose at all in this view. That concludes the examples for this tutorial but you can experiment with different styles in different views or different degrees of realism to come up with a style that you like.